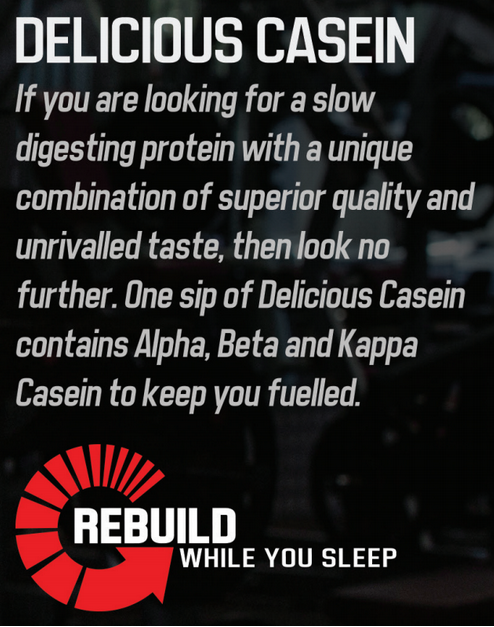 Casein protein is a slow release protein, the slow digesting and release of the protein allows your body to keep repairing all night while you sleep. This allows your body to build and recover to it's fullest potential. Giant Sports have perfected the flavour of Delicious Casein, having protein drinks is no longer a chore, its a treat. Due to a complex protein blend, this slow-release protein is suitable as a post-workout shake or as a night-time protein drink. 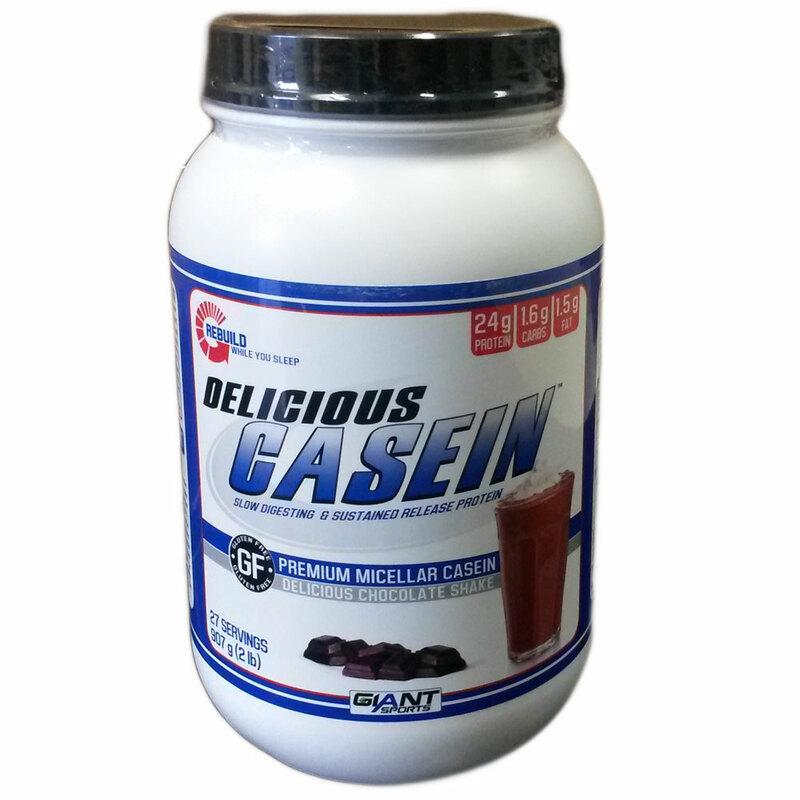 This "Delicious Casein" is available at Fitness Market in Chocolate, Vanilla, Banana Flavours and has two size options 900g (27 servings) and 2.2kg (66 servings). Add one to two level scoops to cold water for a post-workout supplement. Additionally, it can be consumed throughout the day as required. Buy Giant Delicious Casein Powder from Fitness Market and save! With our efficient dispatching and quick delivery throughout Australia, Giant Delicious Casein Powder can be yours sooner. 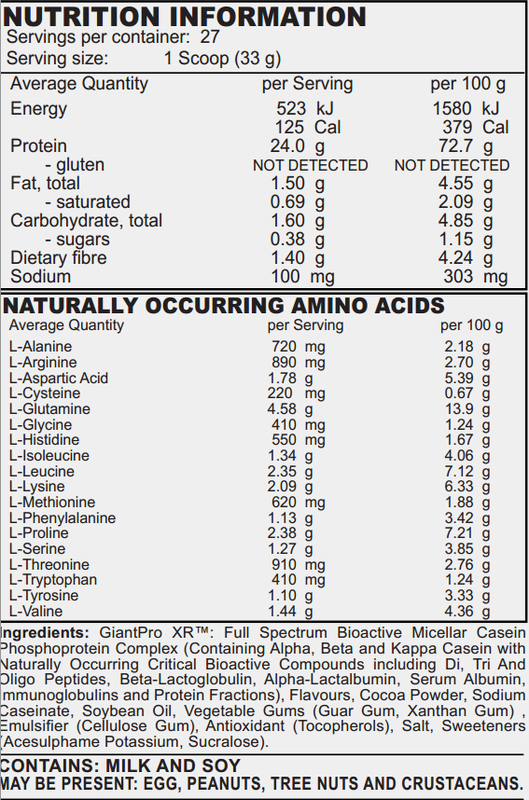 Below you can rate and add reviews for Giant Delicious Casein Powder.